A PUBLIC policy expert, the former secretary to Anambra state government and the Peoples’ Democratic Party’s candidate in the November 18 2017 Anambra state governorship election, Mr. Oseloka Obaze, has said Nigerians can’t afford to shy away from debates on public policies and governance issues if Nigeria must advance. 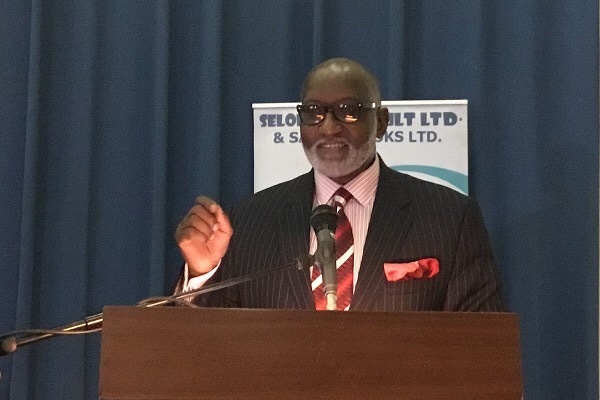 Obaze stated this on Thursday at the Shehu Musa Yar’Adua Centre, Abuja, during the public presentation of his public policy book titled, “Prime Witness – Change and Policy Challenges in Buhari‘s Nigeria”. Obaze said Nigerians are obligated to speak up on matters of national interest and during public policy discussions, which are far too important to be left to only elected or appointed policymakers. He argued that the contribution and role of an informed citizenry to public policy-making remains one of the enduring hallmarks of a well-functioning democracy. He explained that though he never set out to write a book on the incumbent administration, his role as a member of the attentive public, and his curiosity, observations and commitment to staying engaged and adding value in the public policy debate in Nigeria orchestrated the book. According to him, the book seeks to analyze evolving policies from the very onset of the Buhari administration; focusing on lessons learned, missed opportunities and choices before Nigeria. He hoped that the book would help in resetting the modalities for formulating and implementing public policymaking. He expressed worries that “President Buhari appears to have more of abstract aspirations rather than concrete policies.” Aniagolu encouraged citizens, especially those that see to the formulation and implementation of public policies, to pick up and read the book as it offers recommendations to various challenges facing Nigeria. The Senator representing Kaduna Central in the 8th Senate, Sen. Shehu Sani, in his remarks, extolled Obaze’s courage and vibrancy of mind. He challenged citizens to speak truth to power at all times. Sani said the government of President Buhari has failed Nigerians. The book presentation event was chaired by Eze Chukwuemeka Ike, a renowned author and the traditional ruler of Ndikelionwu and was attended by several eminent Nigerians, including Dr. Tom Adaba, Mallam Wada Maida, Engr. Ebele Okeke, Prof. Ibrahim Gambari, Amb. Uche Okeke, Prof. Epiphany Azinge (SAN) Senator Uche Ekwunife, Segun Adeniyi, and Iyom Josephine Anenih.